On Wednesday we went to a Lego workshop.We learned to programme a car to move through a maze of different obstacles. 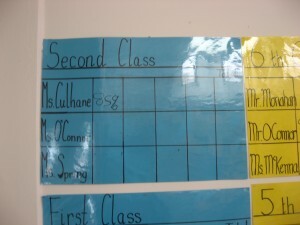 There were two instructors. Their names were Rob and Nicole. 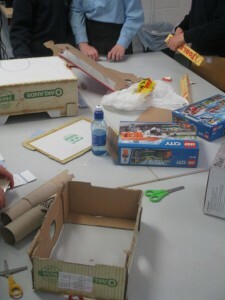 We started building the car. We failed half way through and had to start again!! 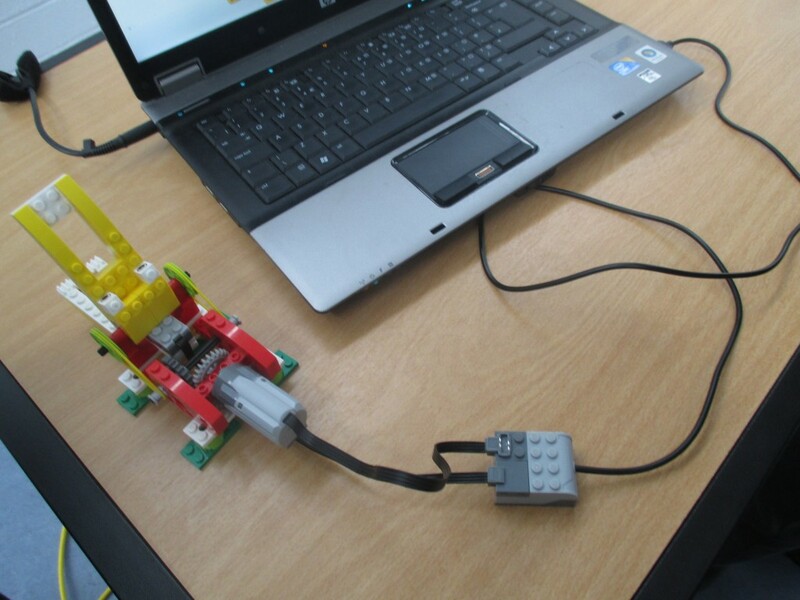 We then put the controller on the car. 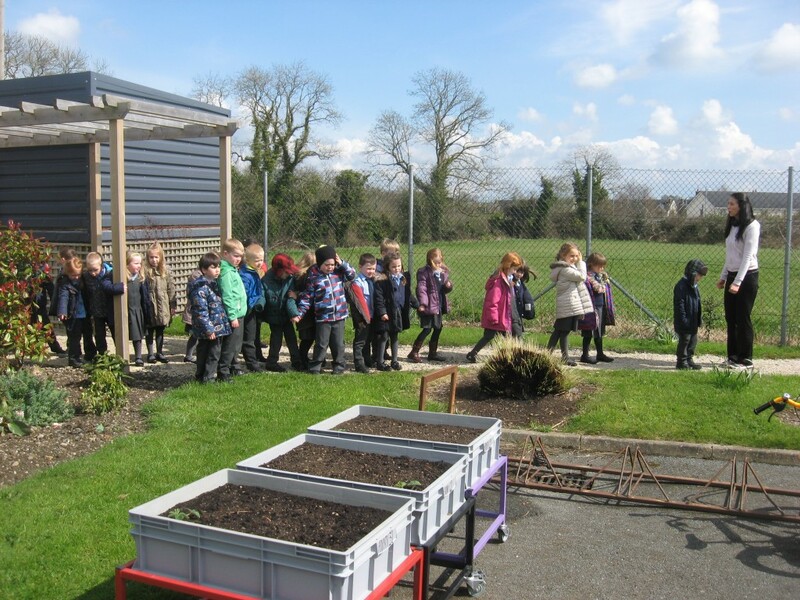 After that we had to measure the length of the maze and how far the car needed to travel. 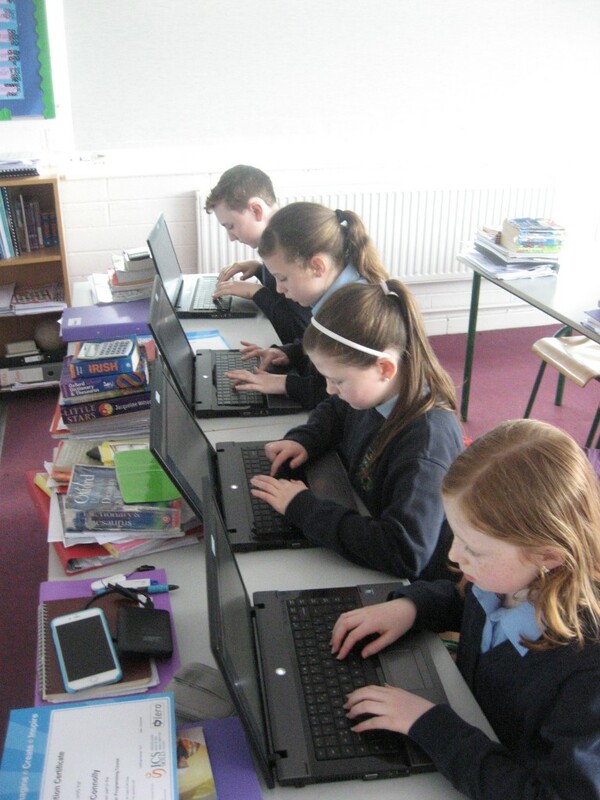 Then we had to go back to the computer and programme the car to move through a maze. 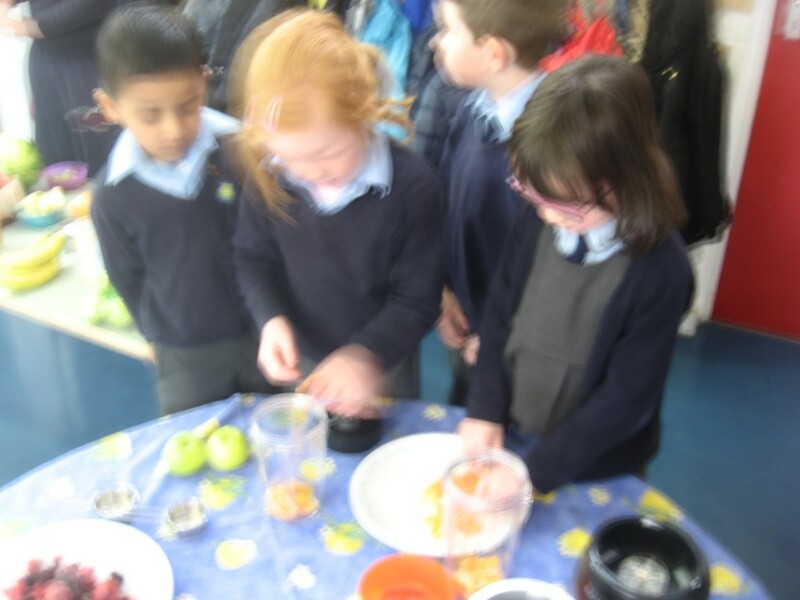 We had lots of great fun!!! 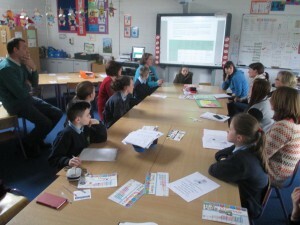 We also learned a lot!!! On Wednesday, April 13 our class got the opportunity to create a Lego robot car. 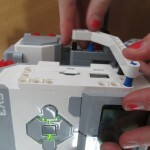 Rob and Nicole gave us the equipment and a manual to make the robot. There were 46 steps. We finished this in a short amount of time. 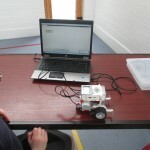 After we made our robot car, Rob showed us how to programme our robot car by using a computer. 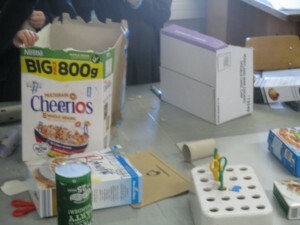 This was a bit complicated but Rob helped us.We then had to measure the maze. The maze was flat on the floor. We measured the maze then we typed it into the computer to programme the car. 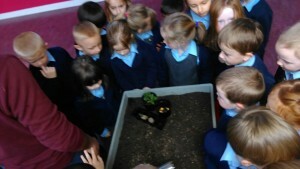 We then had to turn the robot on and we got to see it move for the first time! 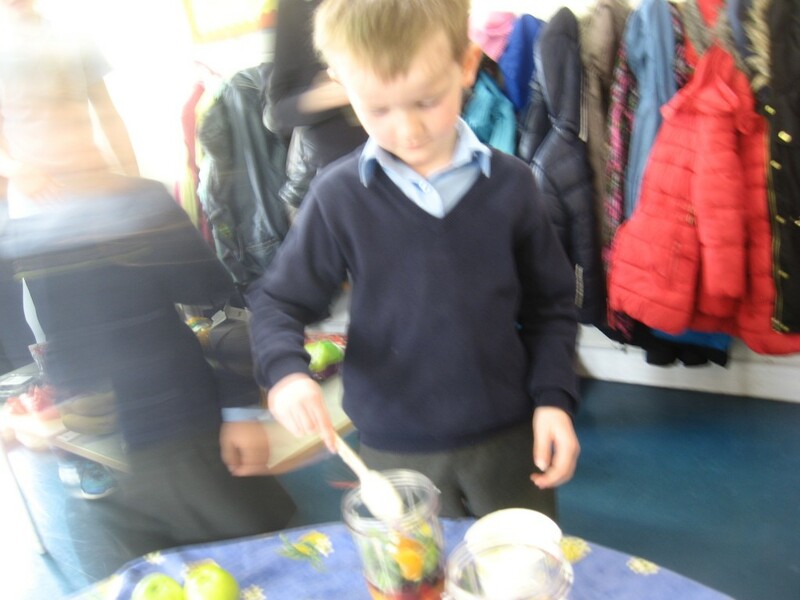 This was a great experience for everyone , we would definitely try it again! 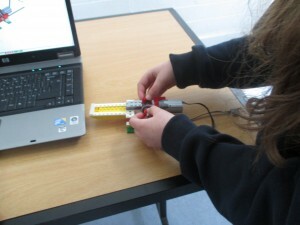 On the 13th Of April ,we did a Lego workshop in the P.E. hall. We split in to groups. 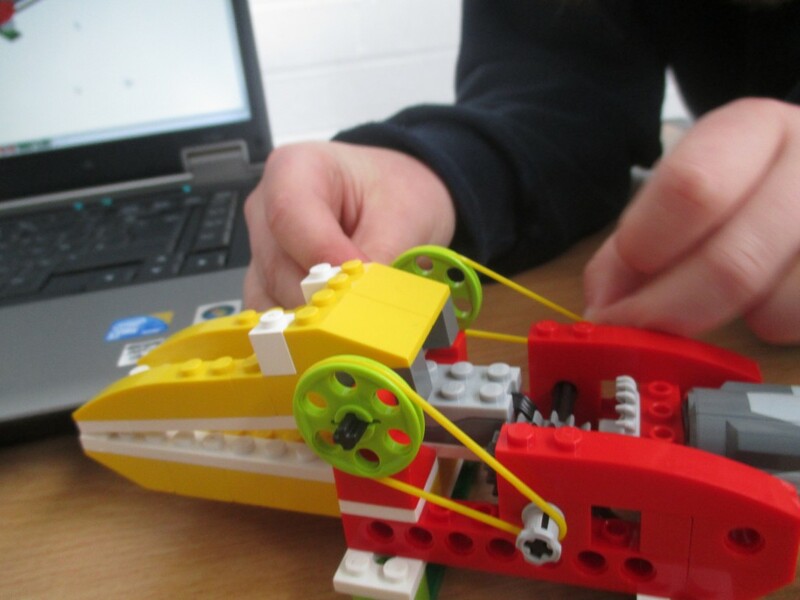 Rob & Nicole (engineers) from LearnIt , explained what to do and about all the Lego pieces. On the computer there were instructions on how to build a Lego car. 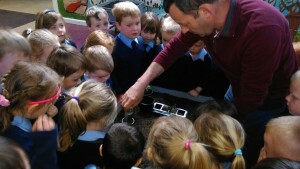 We followed the steps and then about 20 minutes later Rob showed us how to programme it . 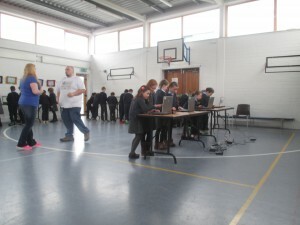 There was a maze for us to navigate after programming the car using the computer. It was a bit like Scratch. After 10 minutes of programming practice we started the challenge through the maze !! 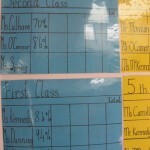 3rd class study the Normans. 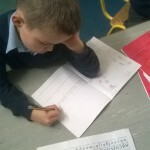 Third class are studying the ‘Normans’. 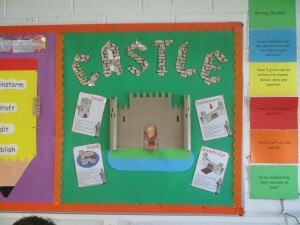 They have learned lots of interesting facts about the Normans. 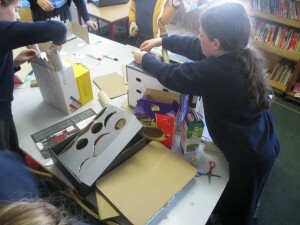 Today they are designing and making Norman castles in Ms McKeon’s room and are lucky to have Ms Lanigan and Ms McKeon guiding them. 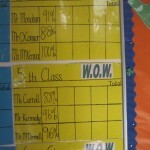 Have a look at the photographs to see how each group is getting on. 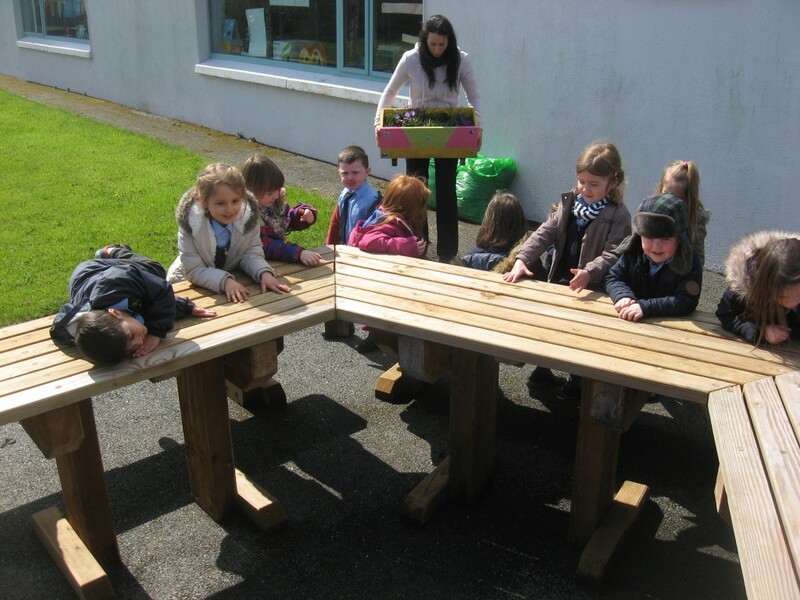 We hope to paint them and finish them next week! Watch this space!! 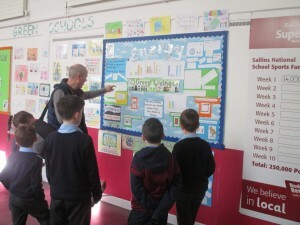 On Wednesday we went to the big hall and met two electronic engineers, Rob and Nicole. 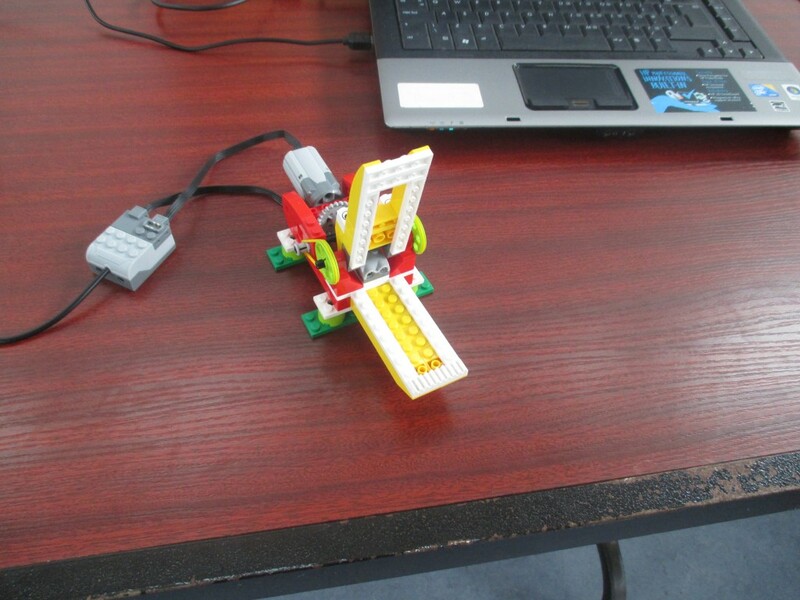 They told us that we were doing something like Lego except electronic. 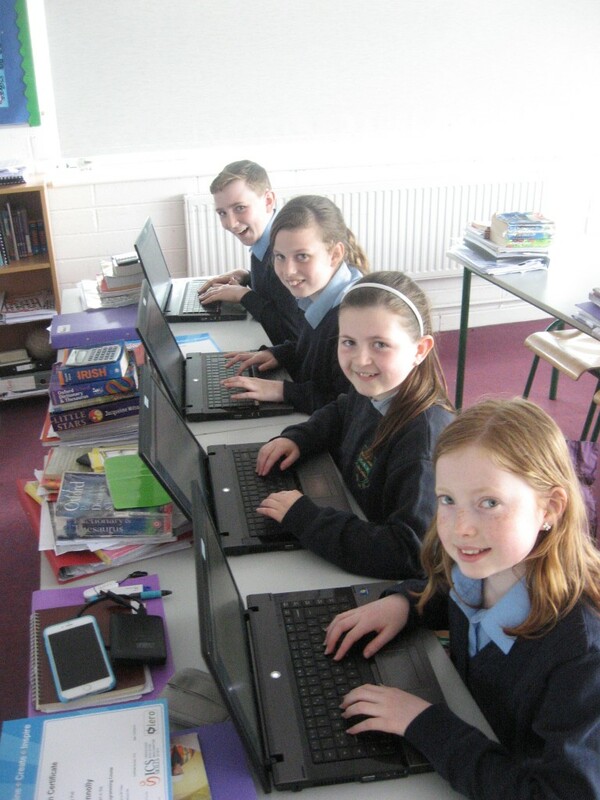 They showed us how to start the computer programming. There were online instructions. 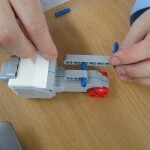 We made the legs and connected them to the wheels. 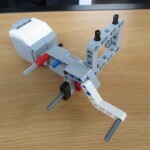 Then we put on the brain of the robot and connected the legs to the brain. After that we connected the USB to the robot. 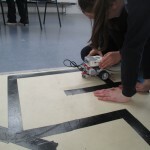 We then programmed the robot to go around the mat that had a duck tape maze. This was great fun! We got half way through the maze but then we had to go home. 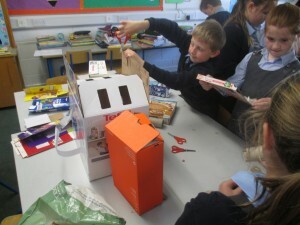 We really enjoyed this lesson on electronics and we learned a lot about other robots that can help us in different ways. 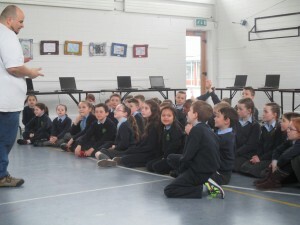 On Wednesday 13th of April, Ms. Carroll’s 5th class met Rob and Nicole from Learnit. In our group there was Amber, Grace, Jacques and James. 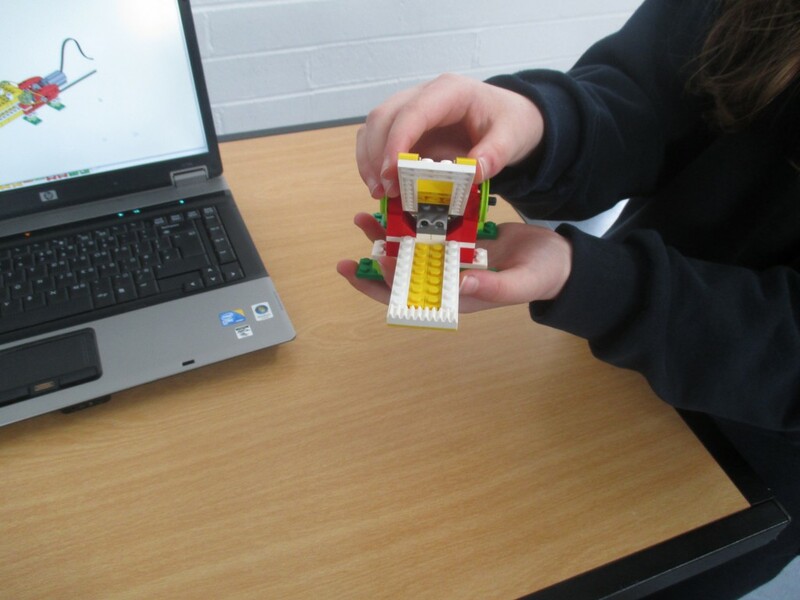 We built Lego vehicles with the laptops as our instructions. 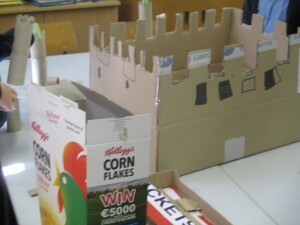 It took 46 steps to build the model. 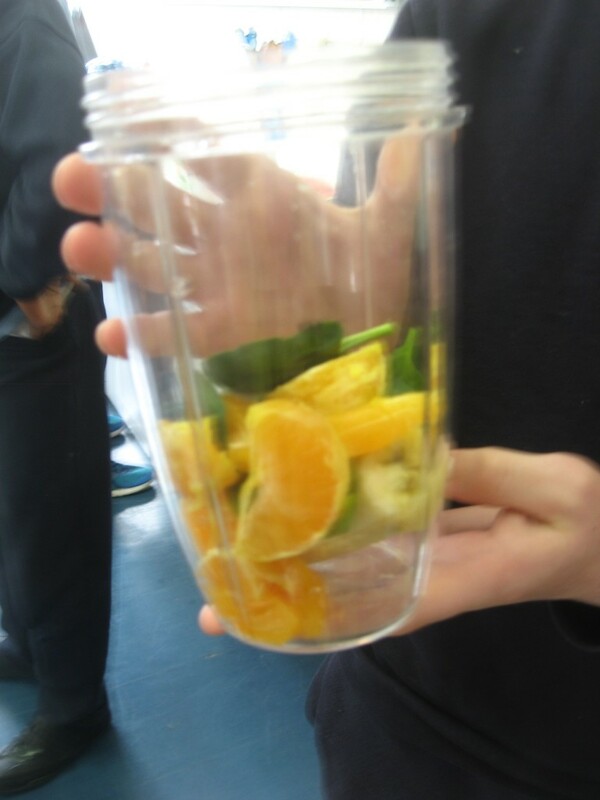 Rob told us that he built it in 4 minutes and 47 seconds, he said it was a world record! It took us about 20 minutes to build it. 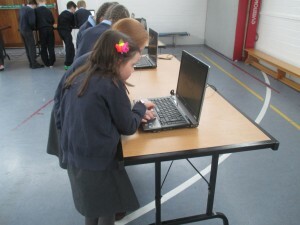 Then we learnt how to programme the cars to navigate around the map that was on the floor. 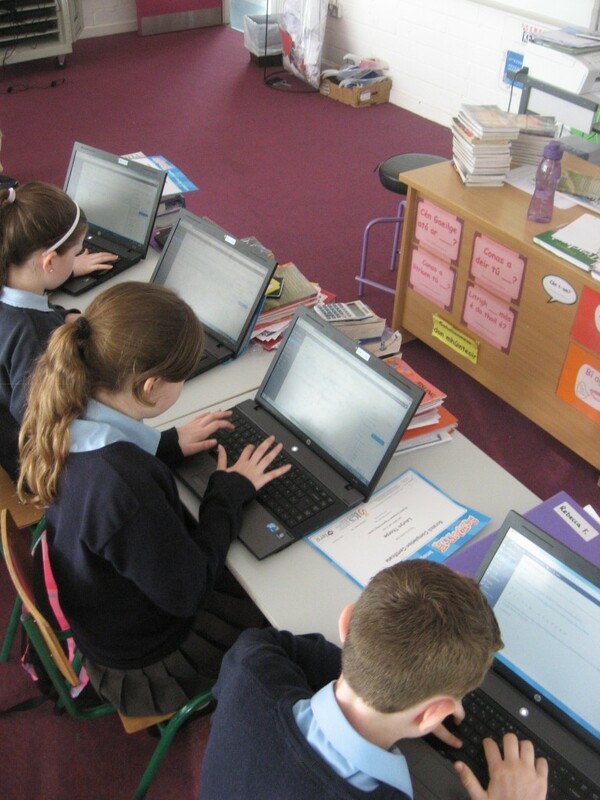 To programme it you had to plug it in to the laptops we were given. Amber measured the length of each corner of the maze while the rest of us waited until Amber came back with the measurements. 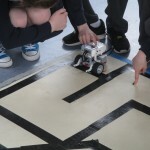 Then Grace, Jacques and James programmed it to go around the maze. We thanked Rob and Nicole and went back to class. 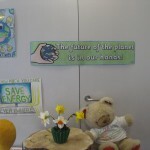 Today we received great news that we are to be awarded our Energy flag. 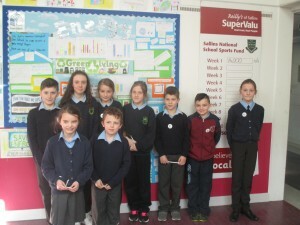 Congratulations and well done to everyone for all your efforts. 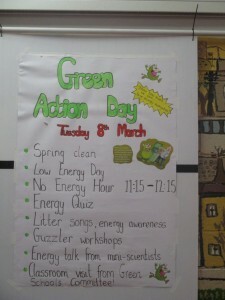 We were led of course by a great Green Schools’ Committee!! What a great team! 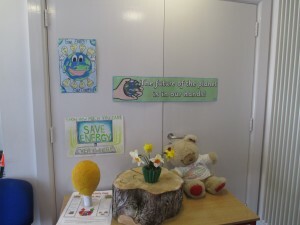 They have been very active, encouraging everybody to save energy and were a brilliant example to the whole school! 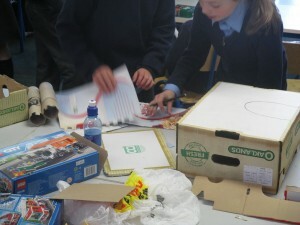 They put in such a lot of hard work and had great ideas for everybody. 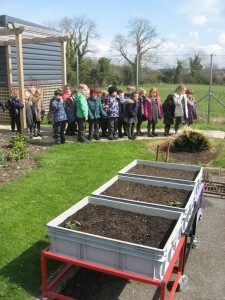 The children of the ICT Club went for a walk in the new part of the school garden. 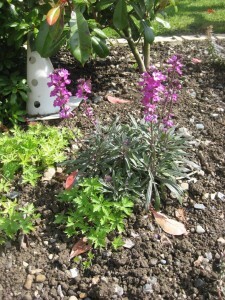 There have been a lot of changes in the garden. 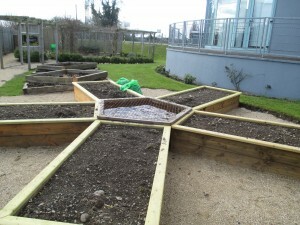 In the garden there are sensory beds with plants that appeal to the five senses, sight:lots of colourful flowers will grow in this section, sound: plants that make different sounds eg grasses that swish will be found here. 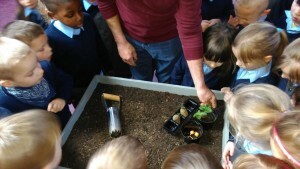 Smell: these plants will have lots of different scents, touch: some of these plants are soft and fluffy to touch and others are prickly. 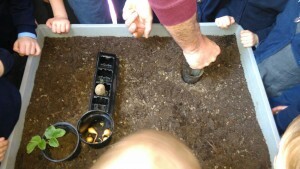 Taste: there will be lots of herbs here. 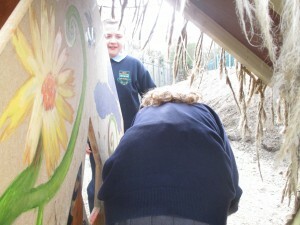 There is a sensory path also which will be a path surrounded by wild flowers. 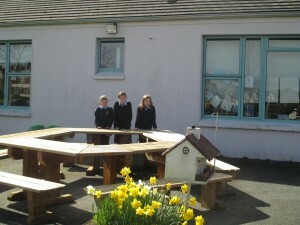 The children in the senior yard will be able to see a little bit of the garden and will be able to see the sensory path. 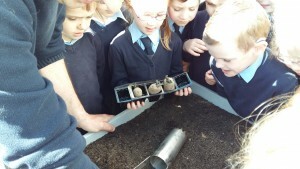 In the garden there is also a wormery that will be full with tiger worms and they will make the compost for the plants. 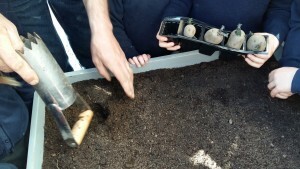 The water from the compost will make the plants grow much faster. 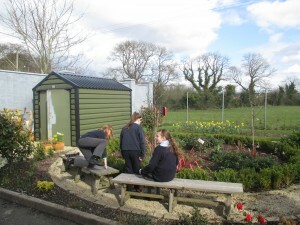 We also have an outdoor classroom that if teachers wanted to they could bring there class out and let them learn outside. 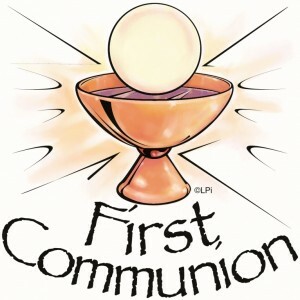 First Holy Communions at Sallins Church this Saturday and Sunday! 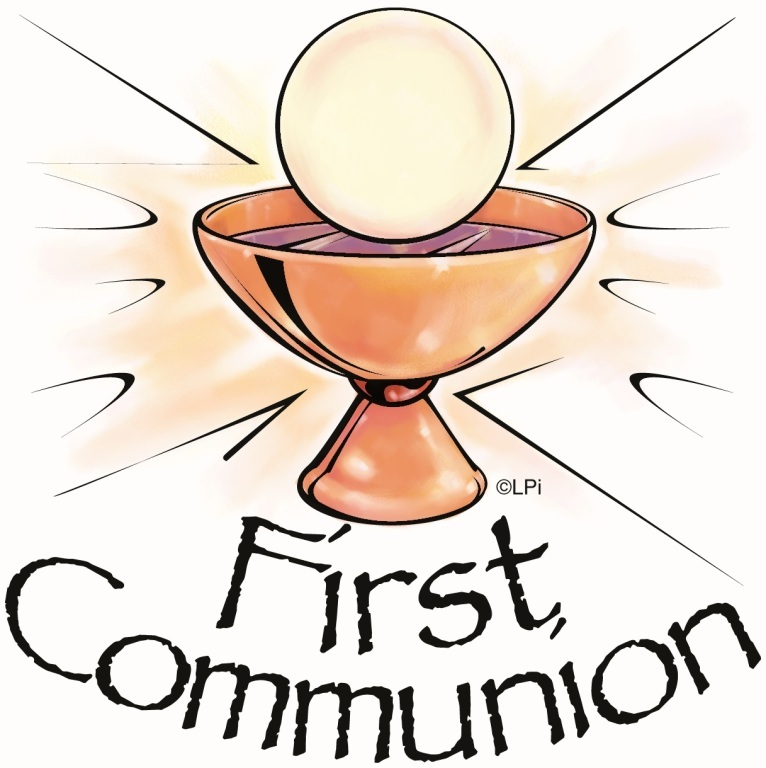 This weekend, our three 2nd classes receive their First Holy Communion! They have spent months preparing for this very special time in their lives. We wish them a wonderful day. 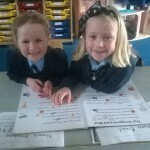 We know they will be singing beautiful hymns and the school choir will be supporting them. I wish them the best! God Bless Everyone! 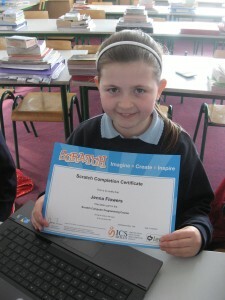 Every student in the computer club took part in the ICS Scratch competition. 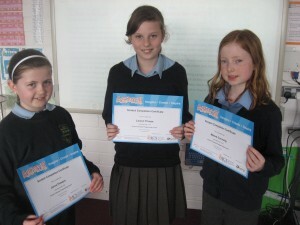 We all got a certificate for our projects. Everyone is very proud and we will continue to do Scratch. Today we got great news! 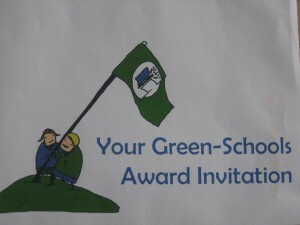 An Taisce has awarded our school the International Green Flag. 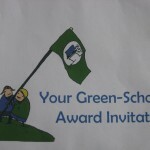 We have received this flag for our work in energy conservation. 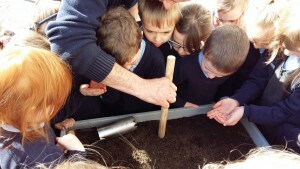 The green flag will be presented at the Helix, DCU, on 25th May 2016. 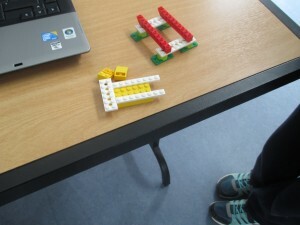 On Thursday we went to a Lego workshop in the P.E. hall with Rob and Nicole from Learnit. 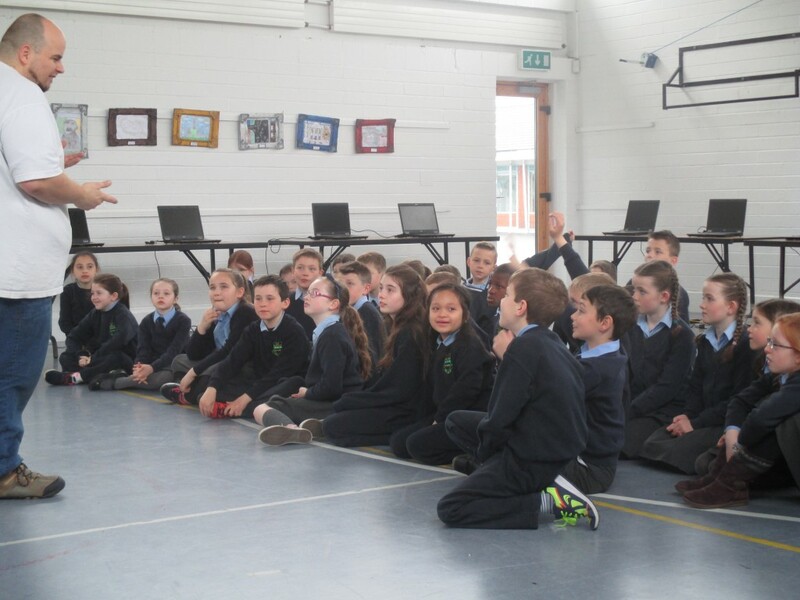 We talked about the different types of engineers. 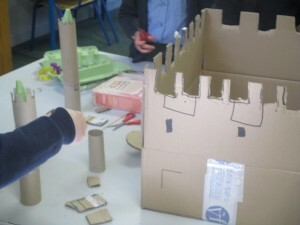 We learned that engineers design, build and test. We heard that in the Lego factory there are only six employees as the rest are all robots! 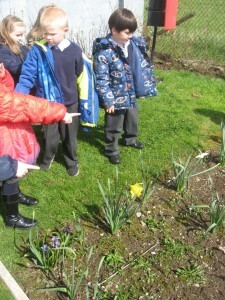 We couldn’t believe it! We discovered that we were going to make an alligator out of Lego. First we got into pairs. 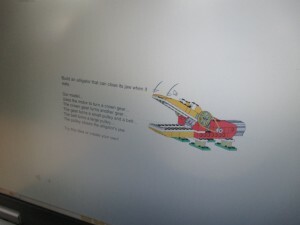 We had a laptop each and to start us off we watched a little clip about what the alligator was going to do. When the clip was over, we were given step by step instructions on how to build our alligator. 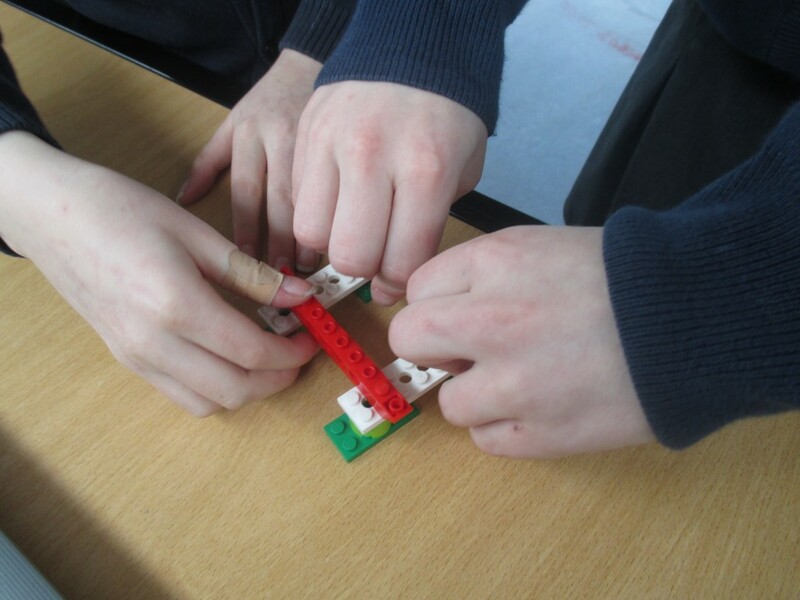 We took turns deciding what Lego pieces we needed and went and got the pieces. 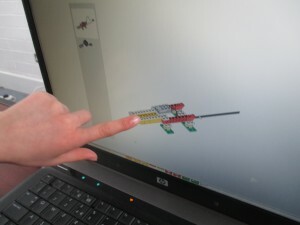 When we had built our alligator, it was connected to the laptop with a USB port. 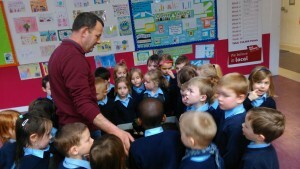 We followed instructions and programmed it to open and close its jaws and to make noises. 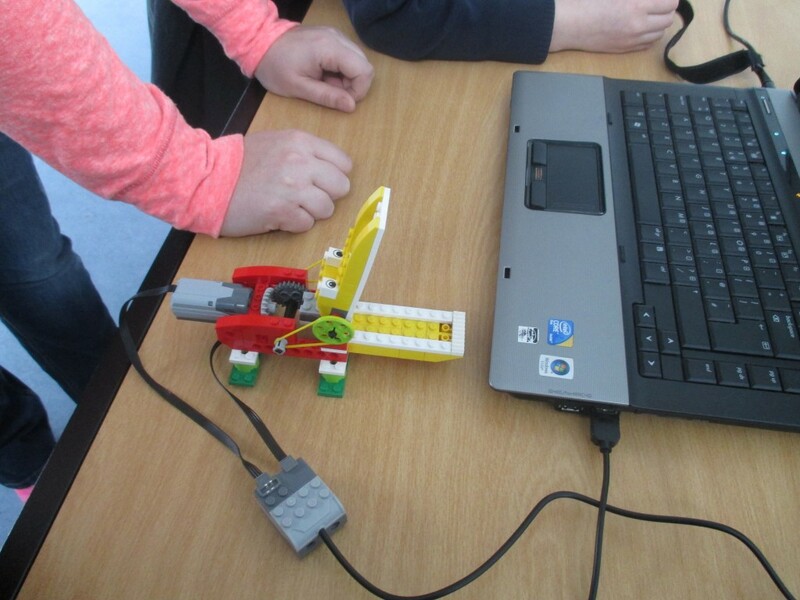 Last Thursday the 14th of April, we met two Lego Robotic Engineers who showed us how to build Lego which could move! 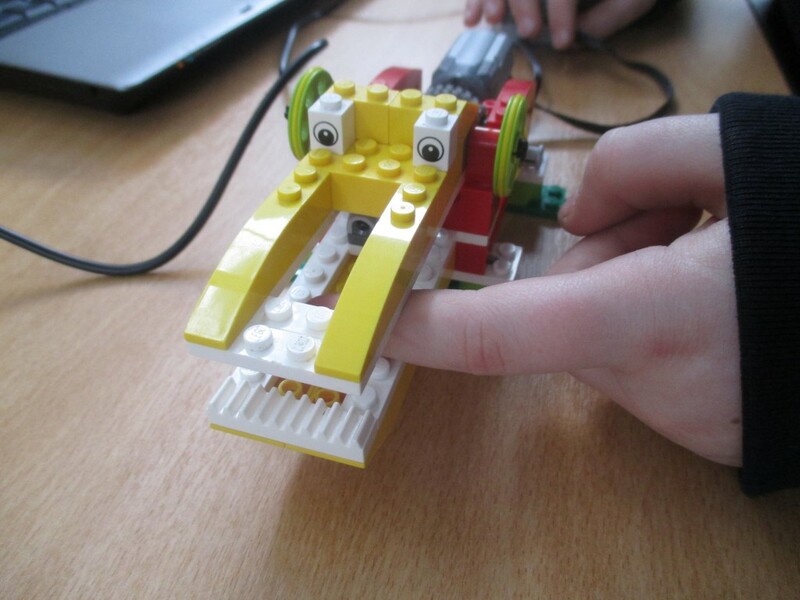 We built Lego alligators which could open and close their mouth when they sensed movement. It was lots of fun! 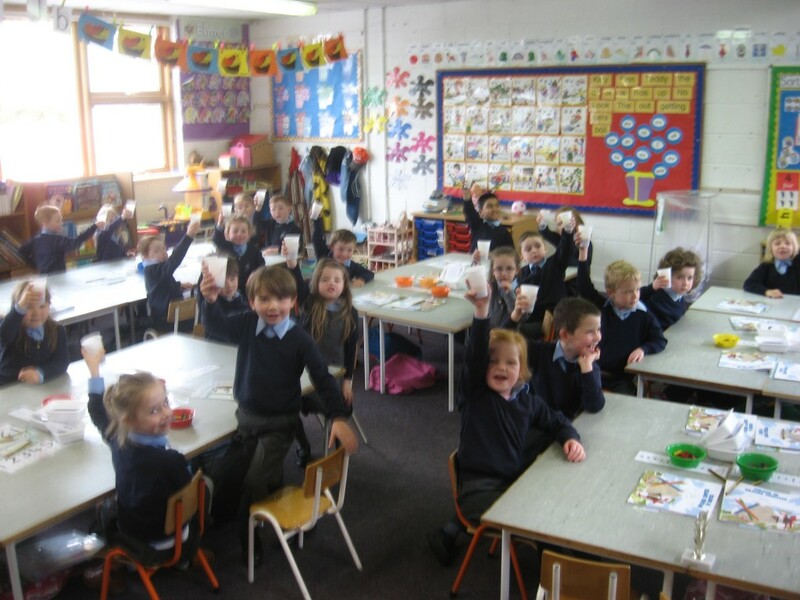 Senior Infants were very busy this week making Gingerbread Men! 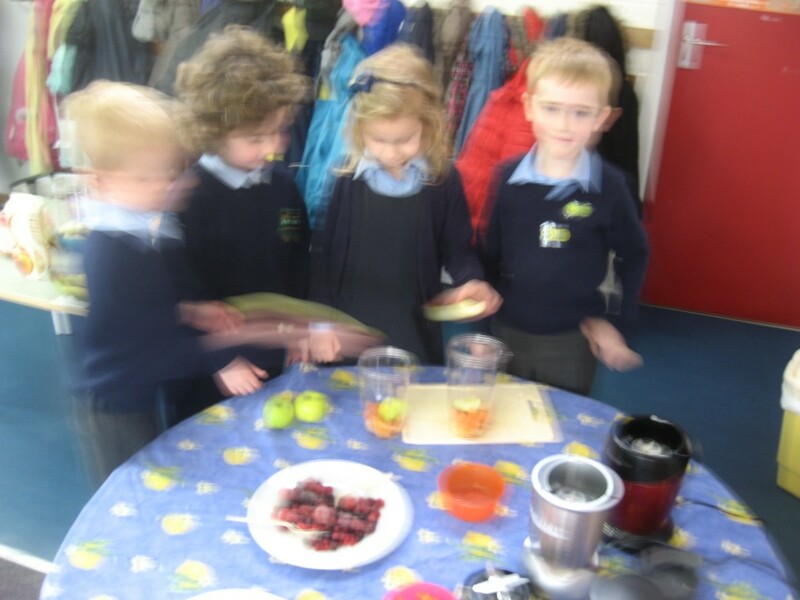 We learnt that some ingredients were heavier and lighter than others using a balance scales. 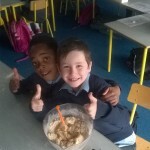 We measured the ingredients, made a dough and cut out our Gingerbread Man using cookie cutters. 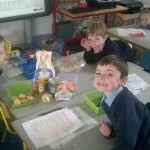 While the Gingerbread Men were baking in the oven, we talked about the ingredients and the recipe as gaeilge! 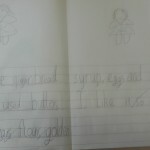 We also wrote the recipe in our copies and drew pictures to match! 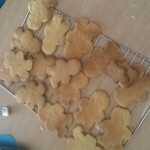 When the Gingerbread men were ready, we enjoyed them at small break. 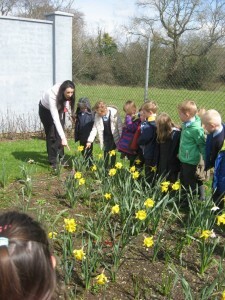 On Tuesday we went for a walk in the School Garden. 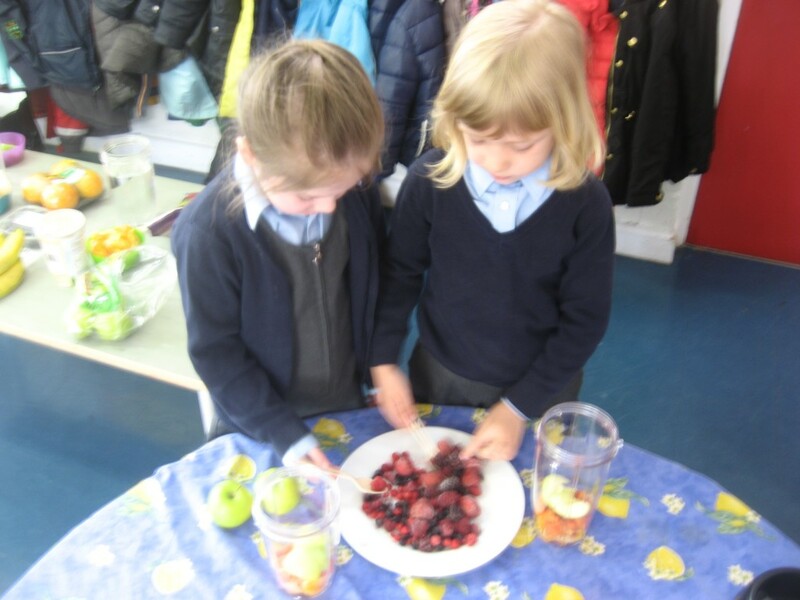 Click on the photographs to enlarge them! 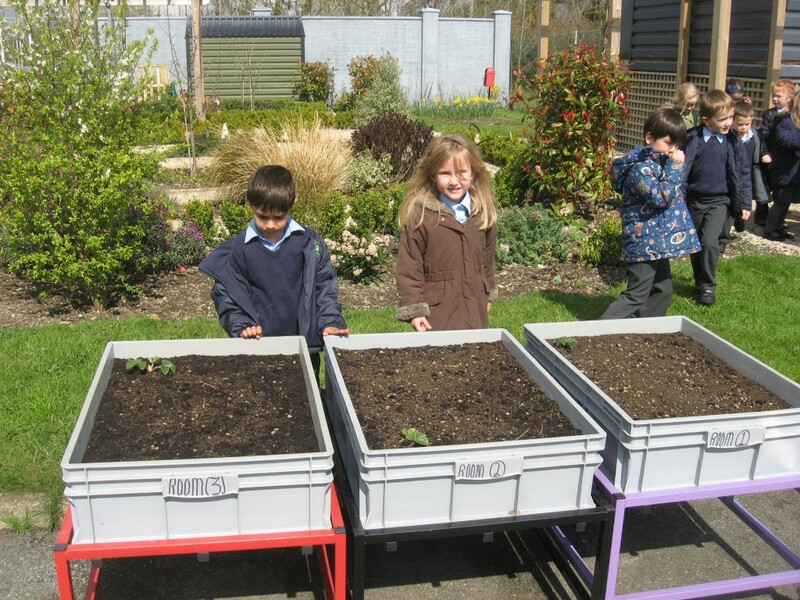 Our garden boxes are outside. 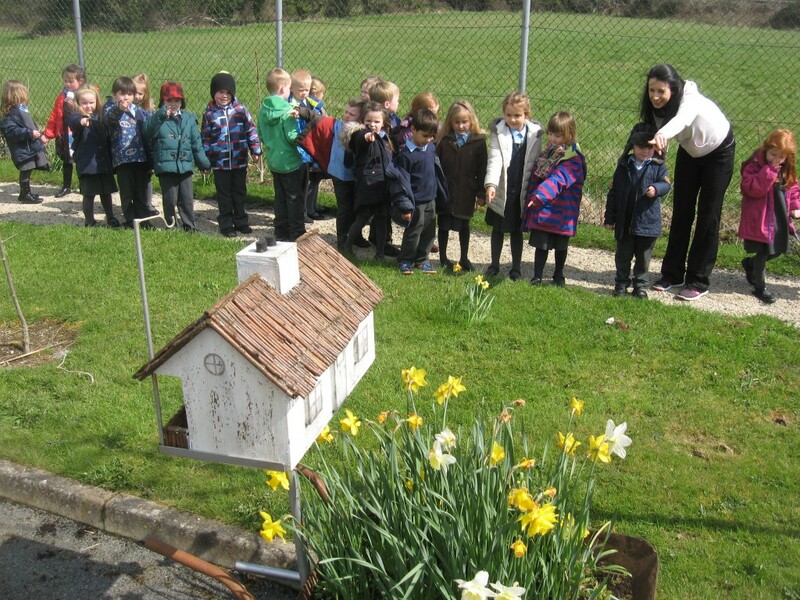 We see a bird house. 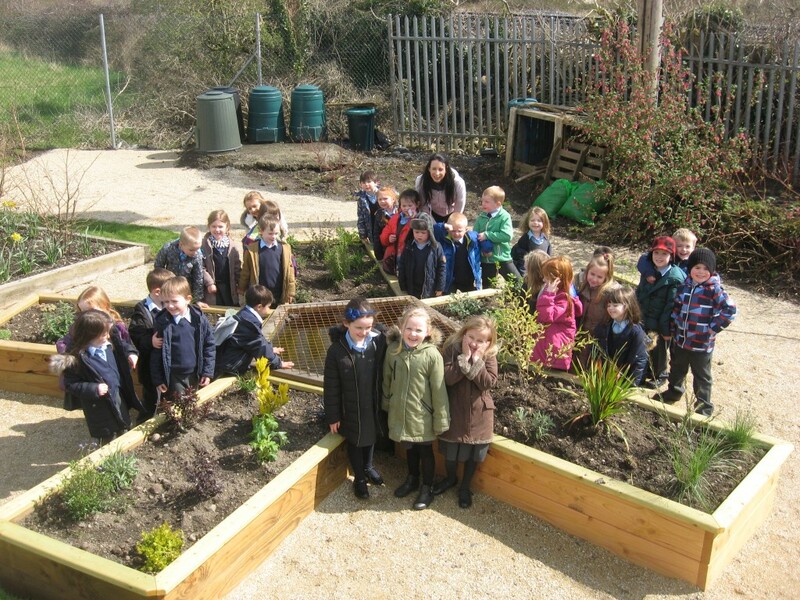 We are in the garden! It is lovely! 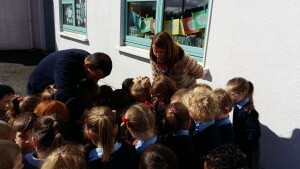 Ms. Cosgrave and Junior Infants. 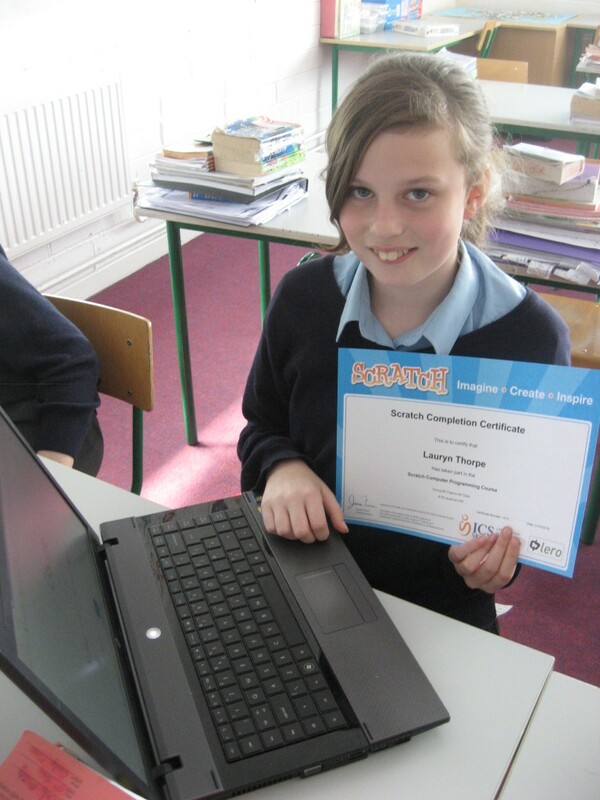 Computer Club Gets SCRATCH Certificates!!! So, the Computer Club have been working hard on the school blog, and also continuing working on SCRATCH projects!. So, in my opinion, we actually deserve these Certs. I’M SO HAPPY 🙂 !!! 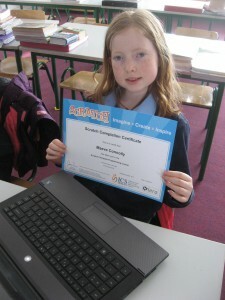 Today the students of the computer club received their certificates for taking part in the Irish Computer Society’s ‘SCRATCH’ competition. 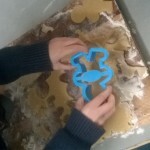 It was really great fun! 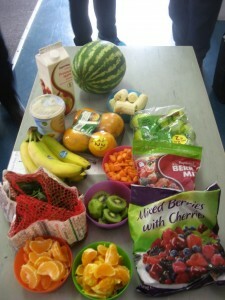 Don’t forget tomorrow is Wednesday again! 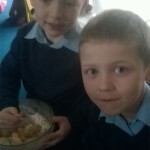 Get ready to walk to school! Get Active! 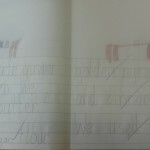 Get Fit! 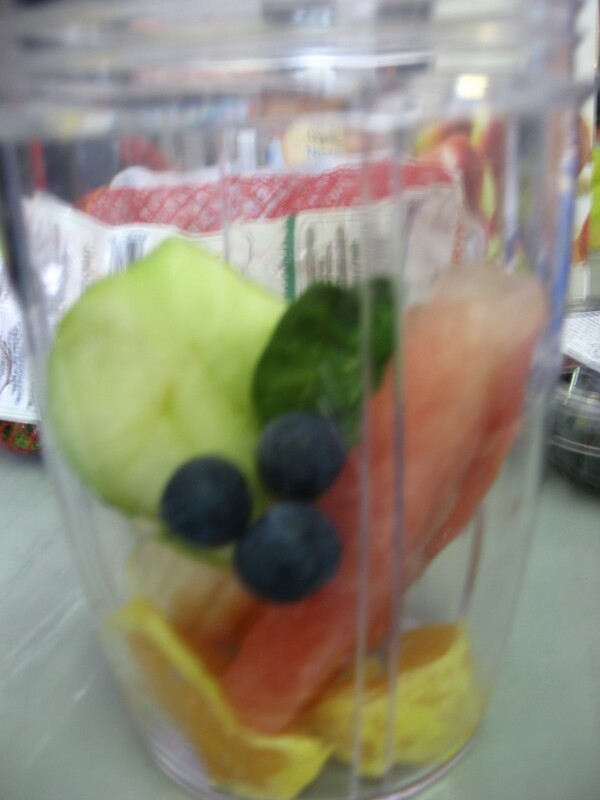 Your Body Needs It! 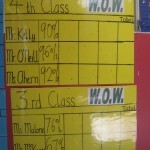 Here are the numbers for last week’s W.O.W! 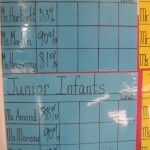 Very high percentages of walkers! We all use the Safe Cross Code! 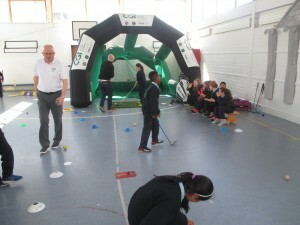 On the 5th of April, two men came from Killeen Golf Club to our school. 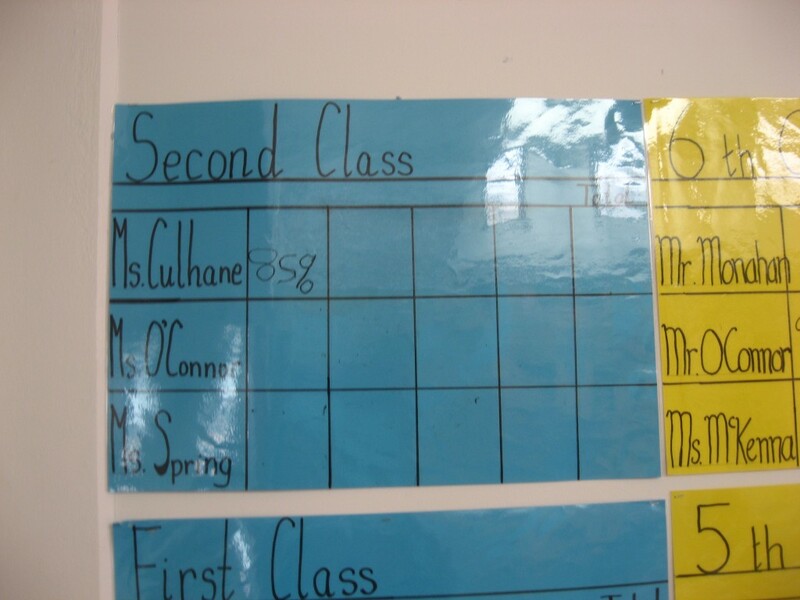 Each 3rd and 4th class went to the P.E. 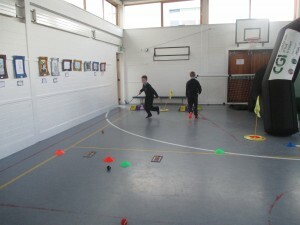 hall at different times to learn how to play golf. 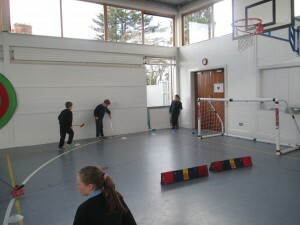 There were four different stations set up in the hall waiting for us to play golf. At the first station we practiced driving (using a club not a car!!). 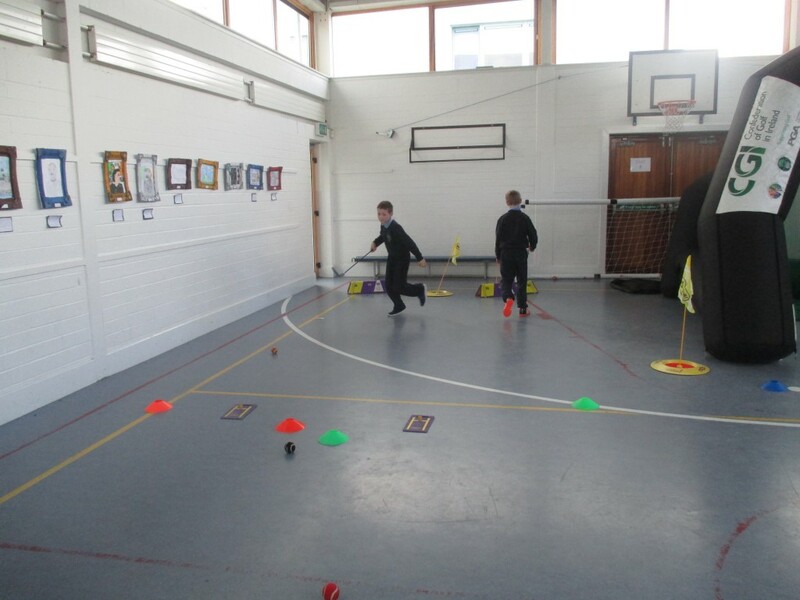 At the second station we learned how to low chip, we had to hit a ball at an object on the ground. 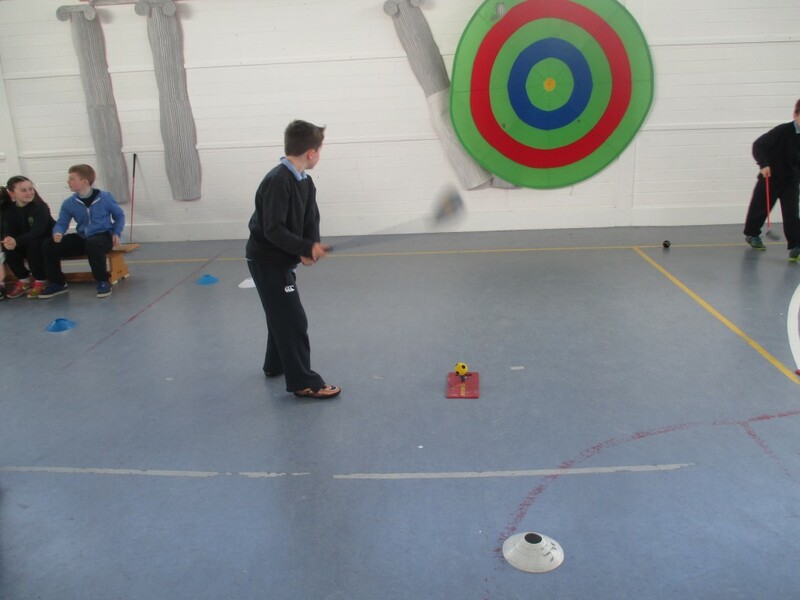 At the third station we were high chipping the ball, this meant hitting the ball high towards the yellow target. At the last station we practiced our putting. 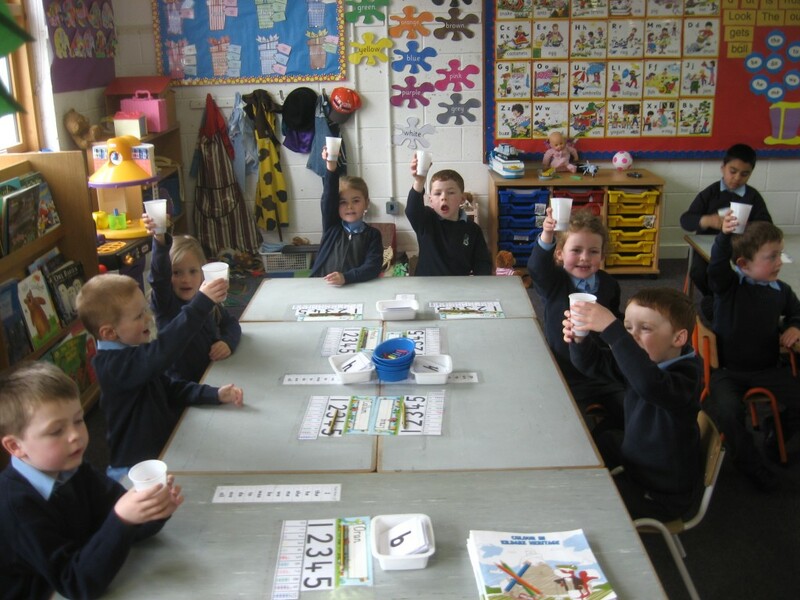 We even got off some homework because our teacher had two good shots!! 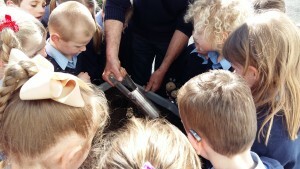 We know we were very lucky to have this experience. It was BRILLIANT!!!!!! We had lots of fun on Tuesday, 5th of April when Brian and Justin came to our school to teach us about golf. 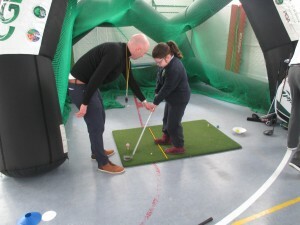 It was a great experience for everyone and especially for newcomers to golf. 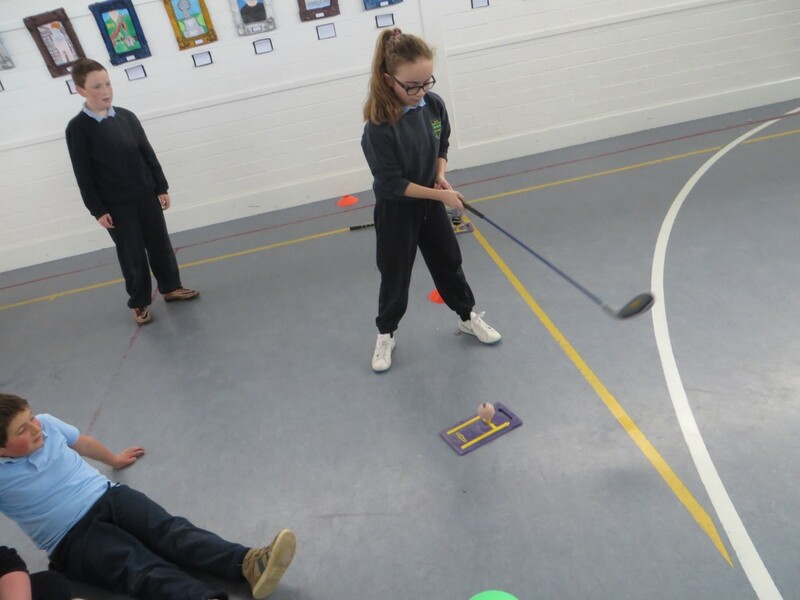 Brian and Justin taught us lots of things about golf. They had lots of different stations for us to go to. 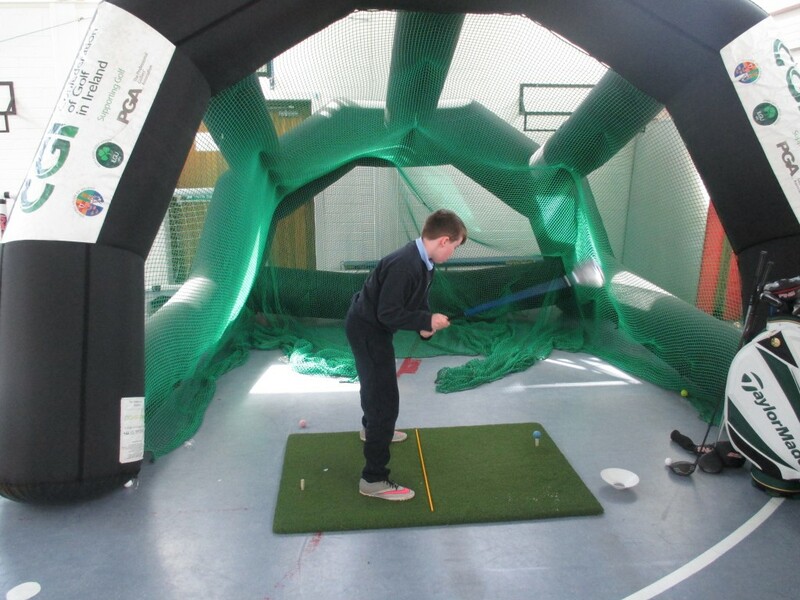 There was a driving range, putting, long chip shots and short chip shots. I thought the driving range part was the most popular part out of all the stations. 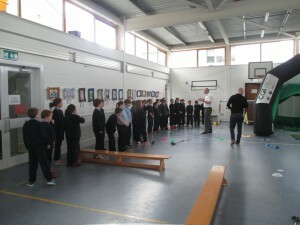 Thank you to Justin and Brian they were very kind to come along to our school to teach us about golf. 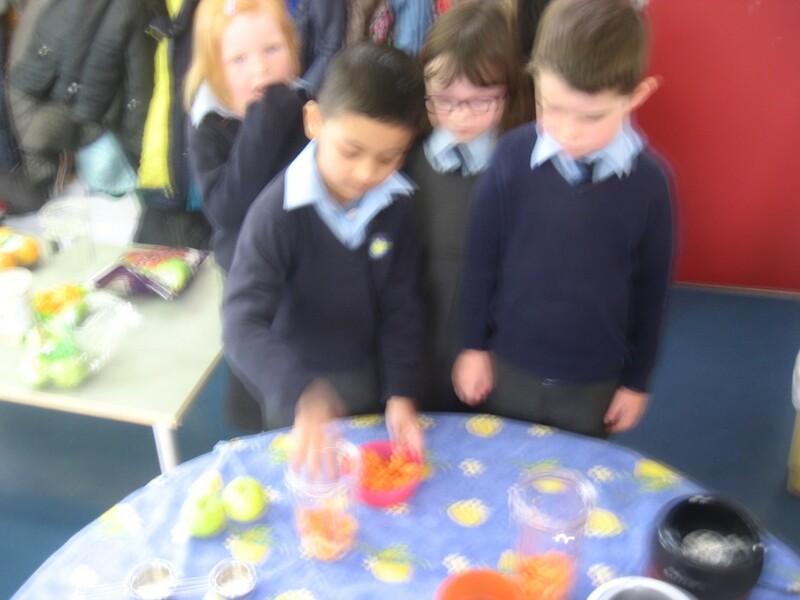 Working together to enjoy our ‘Five a Day’! 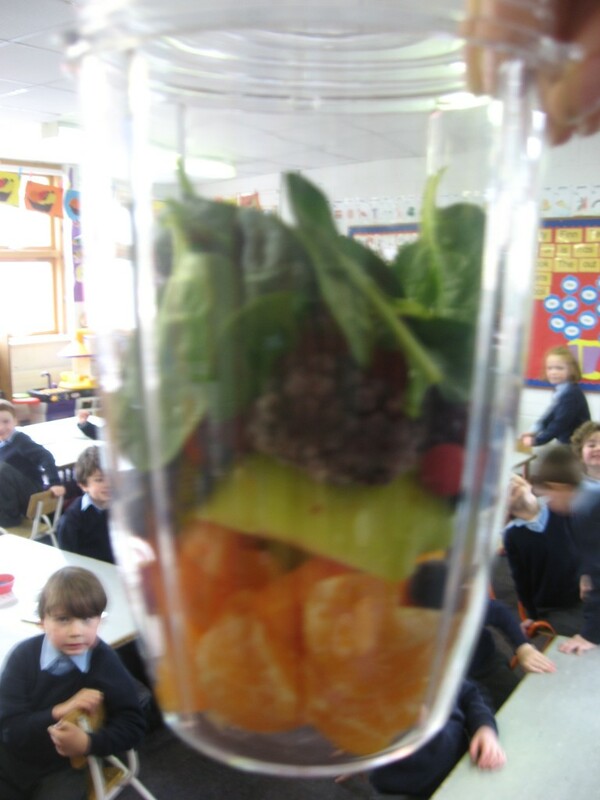 In Room 1 today we made fruit and vegetable smoothies! 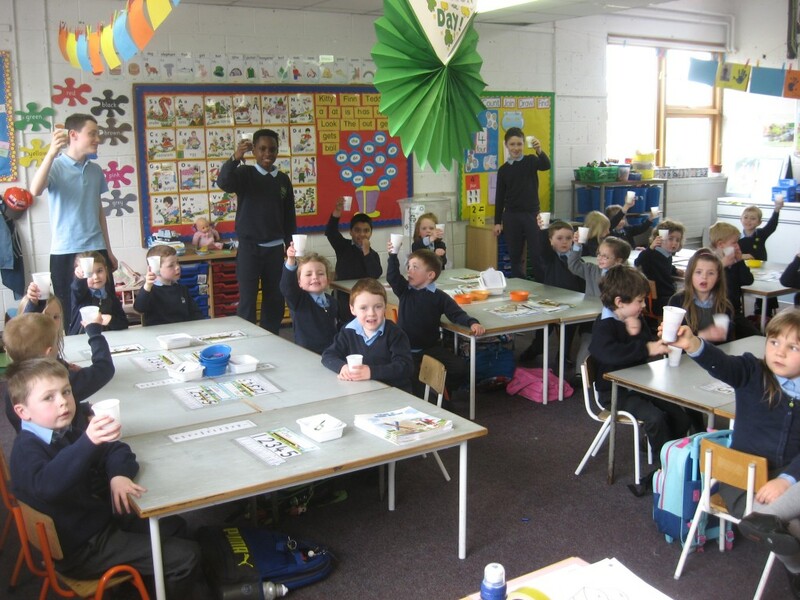 6th Class helpers joined us and we made really tasty smoothies! 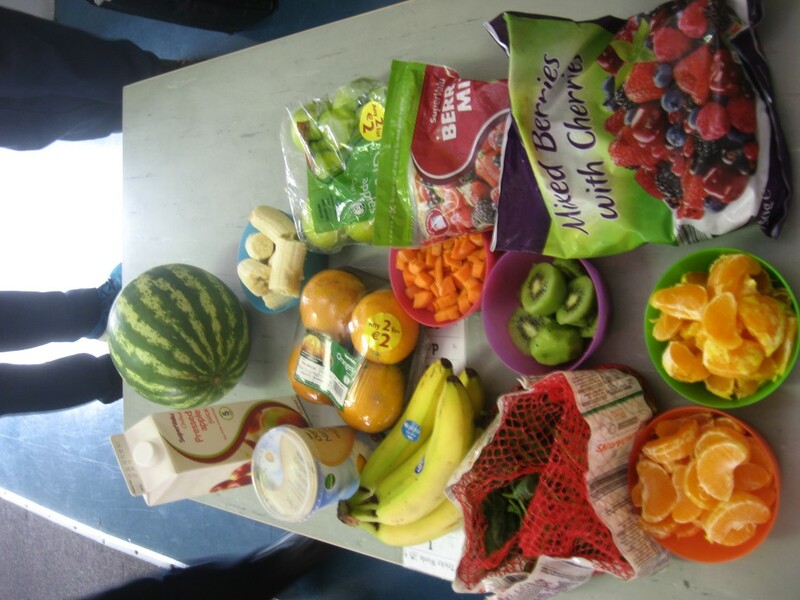 The fruit and vegetables we started with! 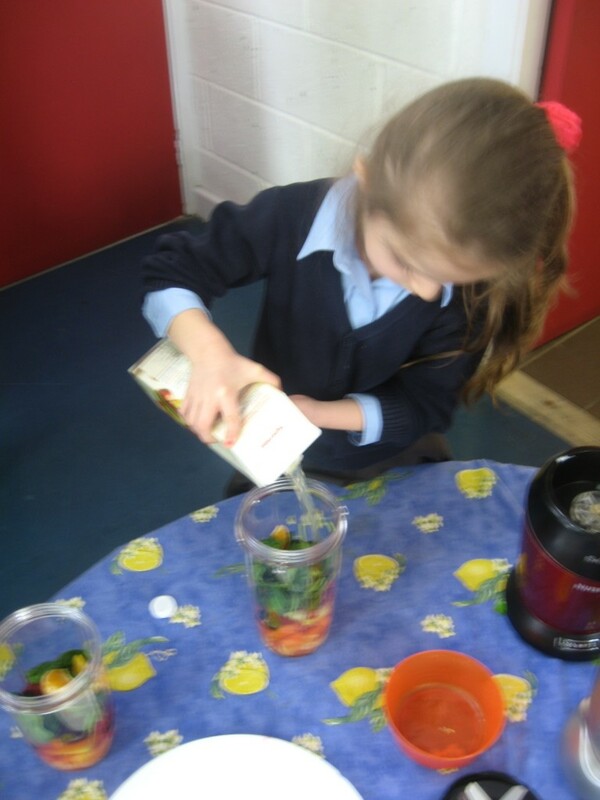 We mixed the fruit and vegetables in the big cups. 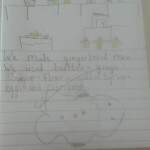 We named all the foods we used. 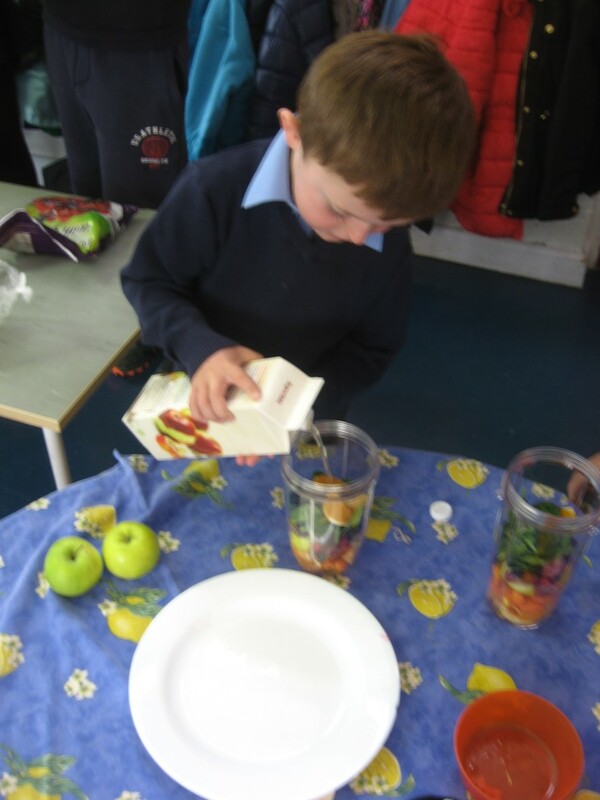 We added apple juice and yogurt. 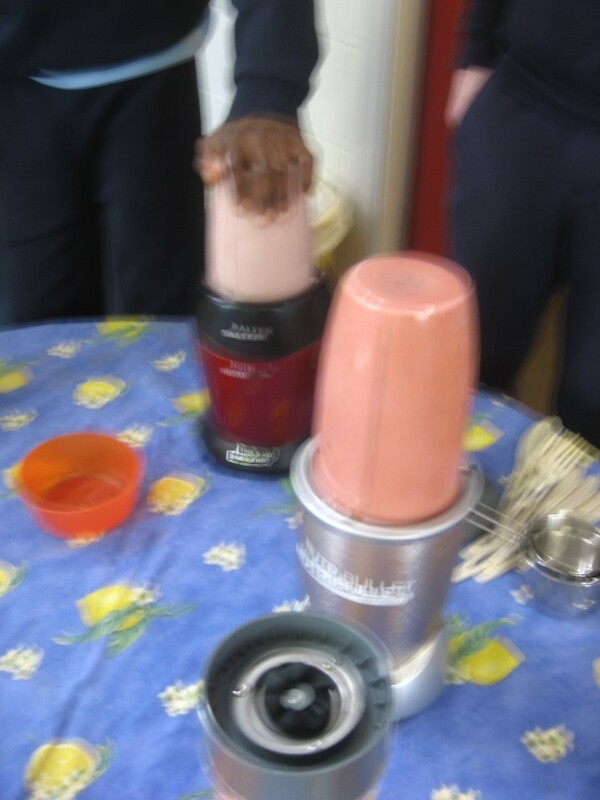 The smoothies were delicious. 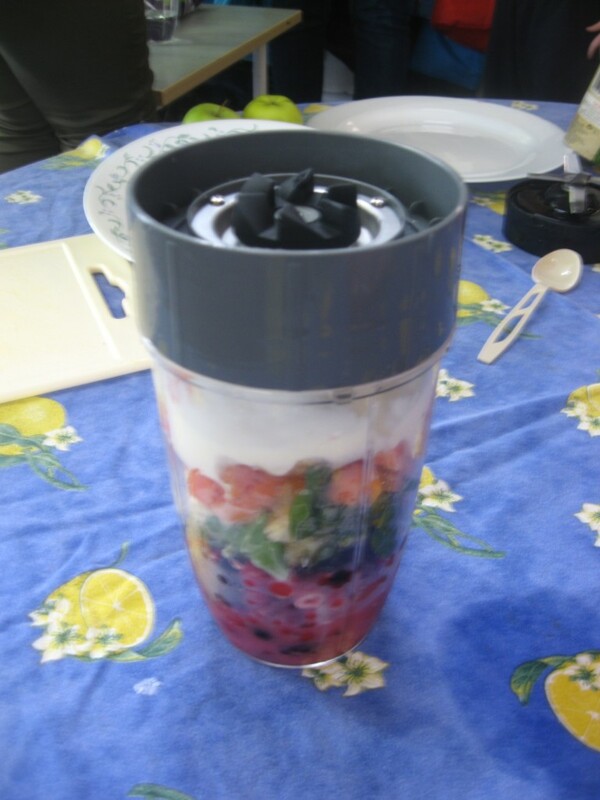 Try making your own smoothies at home. 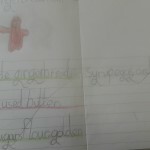 Please comment on on blog! We took photos! 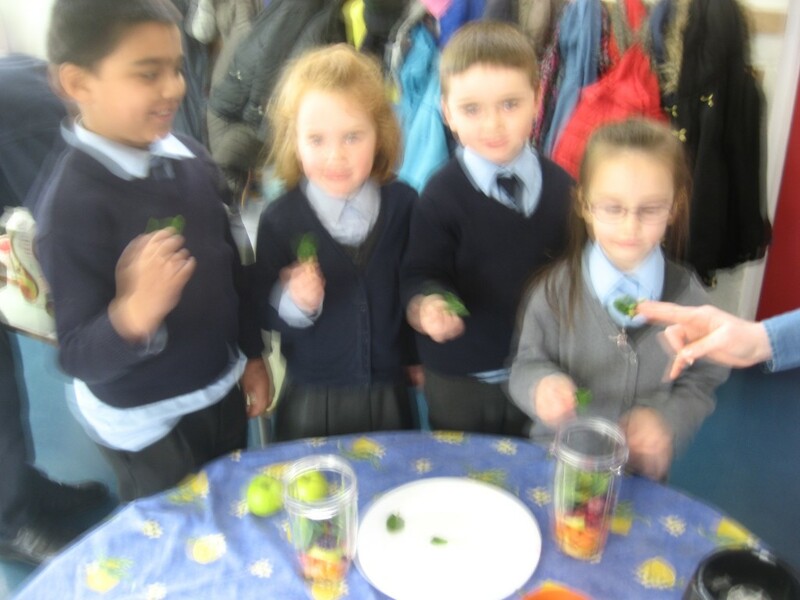 Some of them are a bit fuzzy! OOPS! 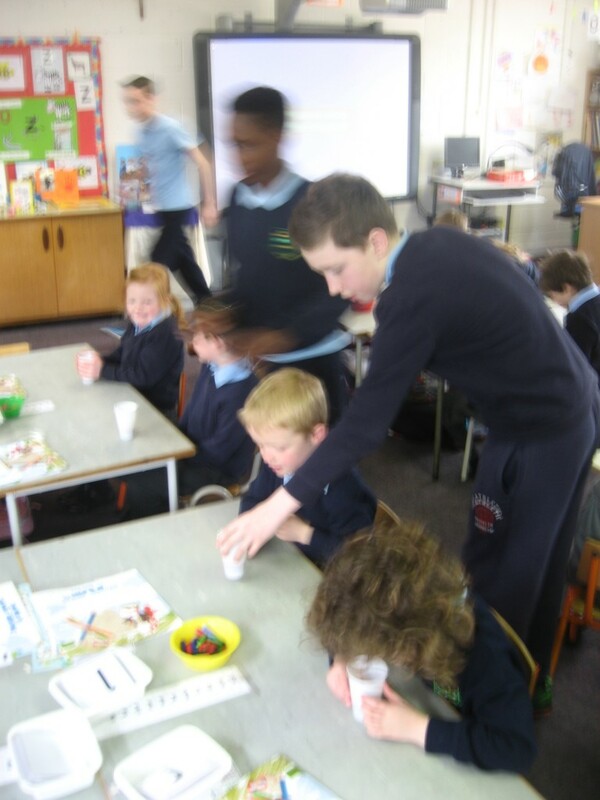 First we put the ingredients together in cups. 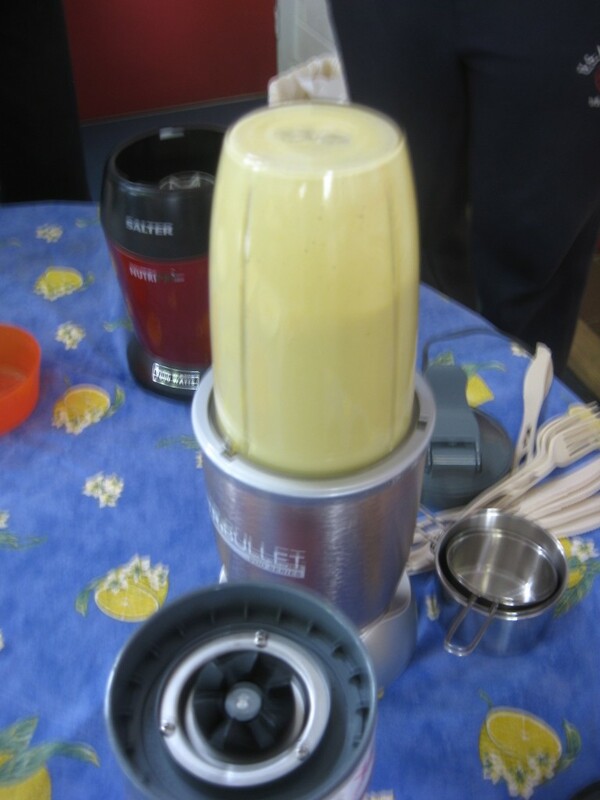 Easy to mix with the blender! 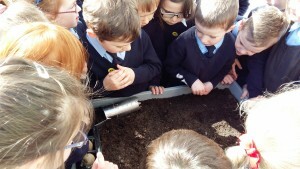 We went out into the school garden this week. 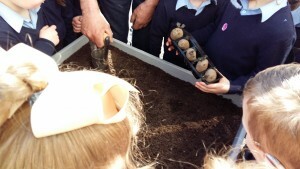 We met Kevin and he helped us plant potatoes and strawberries! We are happy. 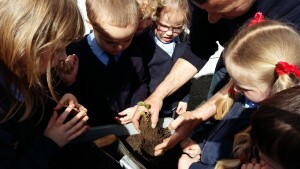 We will watch them grow. 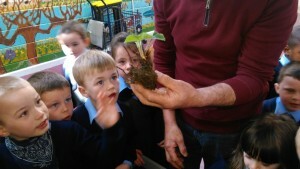 Visit us again to see how they are growing. 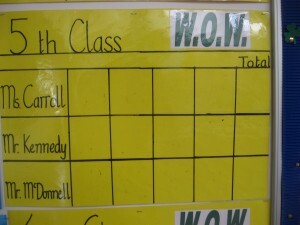 Walk on Wednesday ‘WOW!’ is a new campaign started in our school as part of the ‘Active Schools’ programme. Don’t forget to walk to school every Wednesday. 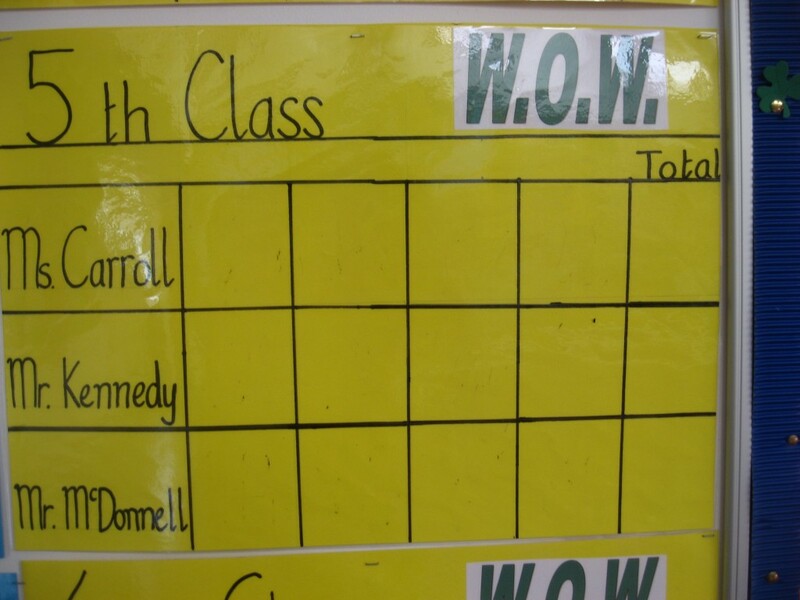 Every four weeks there will be a prize for the classes that have the highest percentage of walkers!